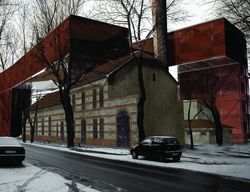 Competition for the Development of Architectural - Urban Design Concept for the Seat of the Centre for the Documentation of the Art of Tadeusz Kantor "Cricoteka" in Nadwiślańska Street in Cracow. 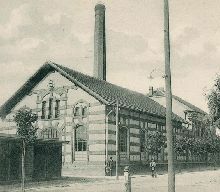 On 26 September 2006 at Nadwiślańska Street in Cracow, the competition Jury chaired by the Marshal of the Małopolska Voivodship - Janusz Sepioł announced the verdict regarding the competition for the architectural ? urban design concept for the new seat of Cricoteka. The full version of the verdict of the competition Jury. Prof. Andrzej Wyżykowski - Chief Municipal Architect of the City of Cracow.